Cotton ginners and producers who attended the recent annual Ginners School program in Stoneville, MS, learned all about using radio frequency identification (RFID) tags for module tracking and data management, reducing contamination in cotton bales, and other timely topics. The event’s educational presentations focusing on RFID technology and contamination have been recorded and are now available through the Focus on Cotton online series from the Plant Management Network and Cotton Incorporated. The Ginners School is organized annually by USDA-ARS, National Cotton Ginners Association and its member associations such as the National Cotton Council, Cotton Incorporated, gin equipment manufacturers and suppliers, and select land grant universities. In addition to Stoneville, MS, other ginning conferences were held in Lubbock, TX, and Mesilla Park, NM. 2017 Cotton Harvester Updates (21 minutes) — Step-by-step instructions on how to electronically track modules from field to gin yard using the latest RFID technology. Speaker: Christopher Murray, John Deere Des Moines Works. New Technologies for Managing Cotton Modules (15 minutes) — Potential ways that emerging RFID-based technologies can be used to improve module management. Speaker: John D. Wanjura, USDA-ARS. Basic Data Flow and Requirements for RFID Data between John Deere and eCotton Gin (5 minutes) — How to retrieve data gathered by producers and the potential future applications of the technology. Speaker: Scott Pinto, EWR, Inc. Automated HID File Download Tool (14 minutes) — How to automate the retrieval of harvest identification (HID) files from producers. Speaker: Edward (Ed) M. Barnes, Cotton Incorporated. RFID Utilization at Silver Creek Gin (20 minutes) — A real-world case study of producers and ginners utilizing RFID technology and associated data sets to improve module management. Speaker: Jonathan McBride, Silver Creek Gin. Potential Impact of Contamination (16 minutes) – Examining the potential impact plastic contamination in a lint bale can have on the final product. 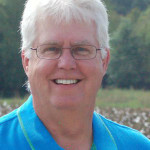 Speaker: Greg Holt, USDA-ARS. The Focus on Cotton series contains more than 50 webcasts on various aspects of cotton crop management, including agronomic practices, crop protection and ag engineering. The presentations are accessible online at any time. 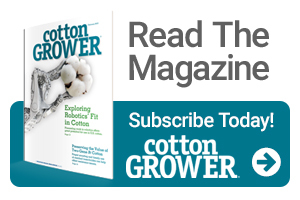 The resource also features a newly improved Cotton Extension Search tool, where users can conveniently search for extension resources across all U.S. land-grant universities serving cotton producers.